Download Best Konshens Mix 2017 by Dj Lyta for Free! 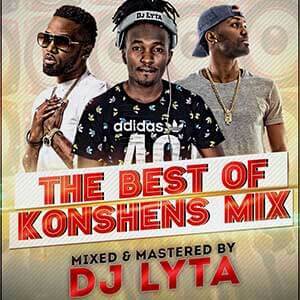 The best of Konshens mix 2017, released on 6th July 2017 by DJ Lyta. Garfield Delano Spence, stage name Konshens, was born on January 11, 1985. His hits have included “Winner”, “Rasta Impostor”, “This Means Money”, “Good Girl Gone Bad”, “Gal Dem A Talk”, “Realest Song”, “Represent”, “Do Sumn” and “Forward”, “Gal a bubble”. Listen to these and more songs by downloading The best of Konshens mix 2017 by Dj Lyta! Thank you Dokata! I appreciate your feedback.